 The Benrinnes distillery is in Aberlour, in the Speyside region of Scotland. It has been in continuous operation since its founding in 1826, but nonetheless, it has not been an entirely smooth ride. It was destroyed in flood just three years after it was built and, as a result, had to be rebuilt in 1835. A little later it went bankrupt and was then sold a number of times. It was damaged by fire in 1896, rebuilt and rebuilt again in 1955. The distillery was then expanded in 1966. Since then, most of the equipment has been updated to match the times. The fact that the owners and workers managed to keep the distillery operation through each of these disasters is a testament to how much they care about producing quality spirit. Rare among Scottish distilleries, Benrinnes stands out for having employed a partial triple distillation process of its whiskies until 2007. It also made use of a Saladin Malting system from 1964 to 1984. The Saladin system is not one that is used often anymore, but at the time it was relatively revolutionary. 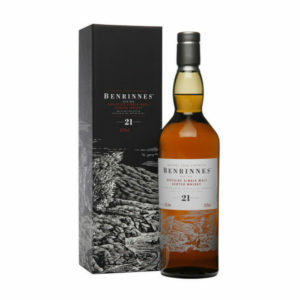 In general, Benrinnes does release many official bottlings, instead the majority of the spirit produced at the distillery is used in blends such as Johnnie Walker and J&B. You can get your hands on some very special independently bottled single malts though. They're rare and unique but we have some in stock! 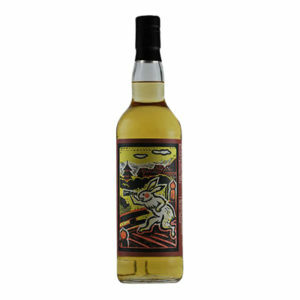 Benrinnes 1996 17 years, specially released for the Kyoto Whisky Fair 2015. Only 24 bottles were ever made. 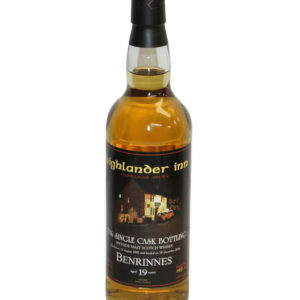 For Benrinnes fans and collectors, this is a must have bottle!